The IFI Irish Film Archive has published a new Digital Preservation & Access Strategy that outlines its response to the challenges and opportunities of archiving vast quantities of moving image material in a digital environment. Over the last five years moving image production and distribution has changed from being almost entirely analogue to being predominantly digital; as the guardian of the national moving image collection the IFI Irish Film Archive is faced with the challenge of collecting, cataloguing, preserving and giving access to these digital collections for the benefit of current and future generations. Raelene Casey, Digital Collections and Access Manager , and Anja Mahler, Digital Collections Management Officer, will be presenting a paper, “Future Proof: The Transition to Digital at the IFI”, at the first Annual Conference on Digital Preservation for the Arts, Social Sciences and Humanities (DPASSH 2015) which runs at Croke Park Conference Centre on 25th & 26th June. This paper outlines the process and methodology involved in developing the Archive’s digital strategy and policies to ensure the long term preservation and management of high resolution digital film and broadcast assets and associated metadata. To download the Digital Preservation & Access Strategy from the IFI website click here. 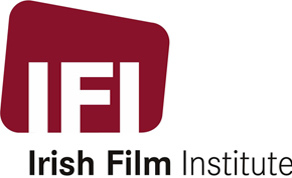 To find out more about the IFI Irish Film Archive visit www.ifi.ie/archive.